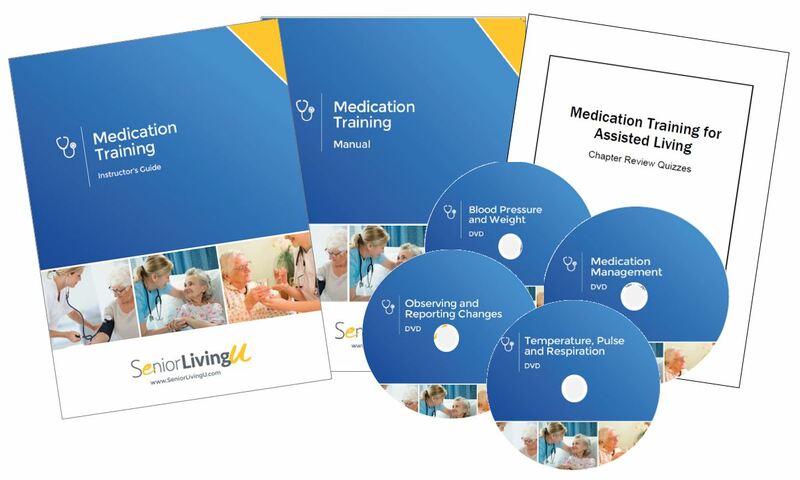 Updated in 2018, the Medication Training Staff Training Program is designed to provide caregivers, in a classroom-like setting, with a comprehensive understanding of medication management through the use of three (3) participant manuals, an instructor’s guide, three (4) DVDs covering Blood Pressure and Weight, Observing and Reporting Changes, Temperature, Pulse and Respiration, and overall Medication Management. 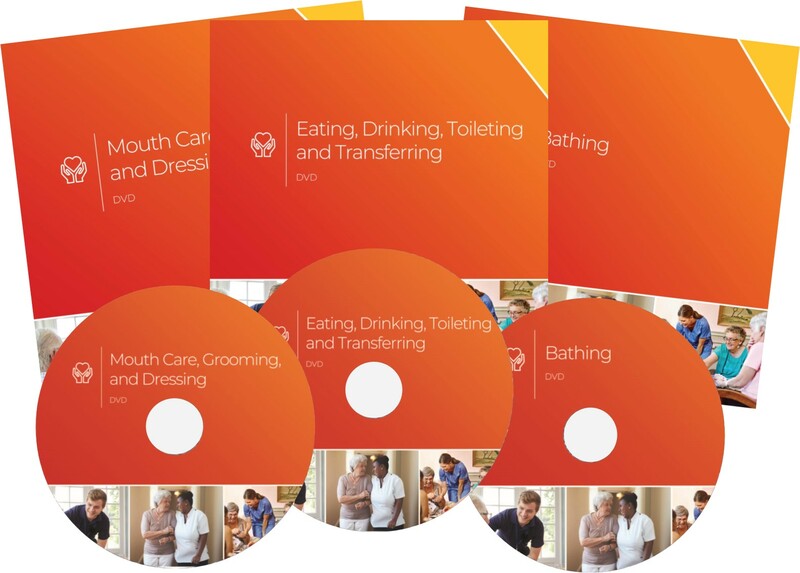 This training package also includes an immediate, unlimited download of the check your understanding quizzes, answer keys and a certificate template. No CEUs. 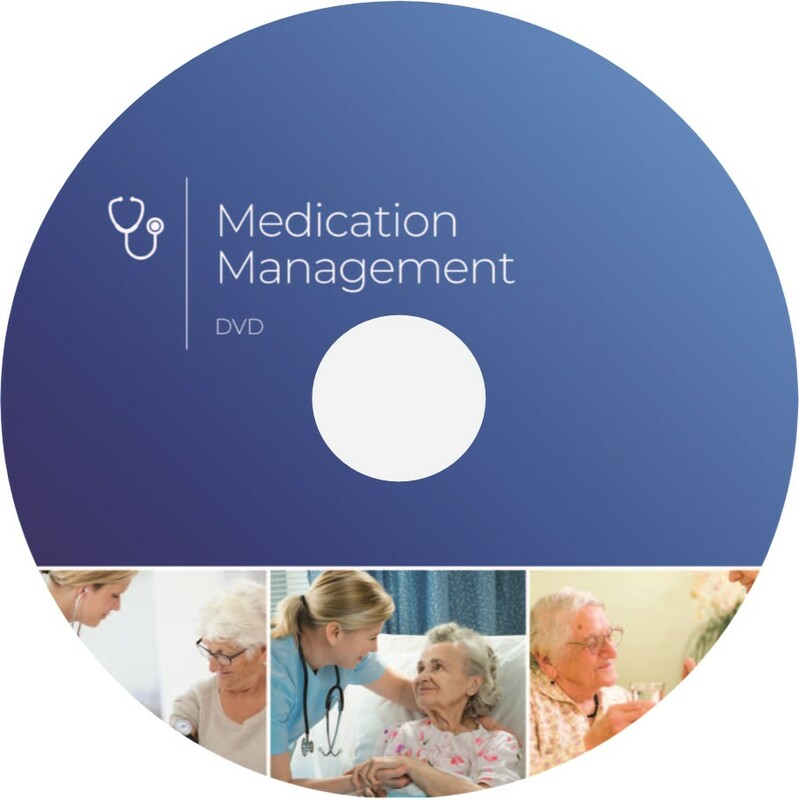 Additionally participant manuals are available for purchase on an as-needed basis. 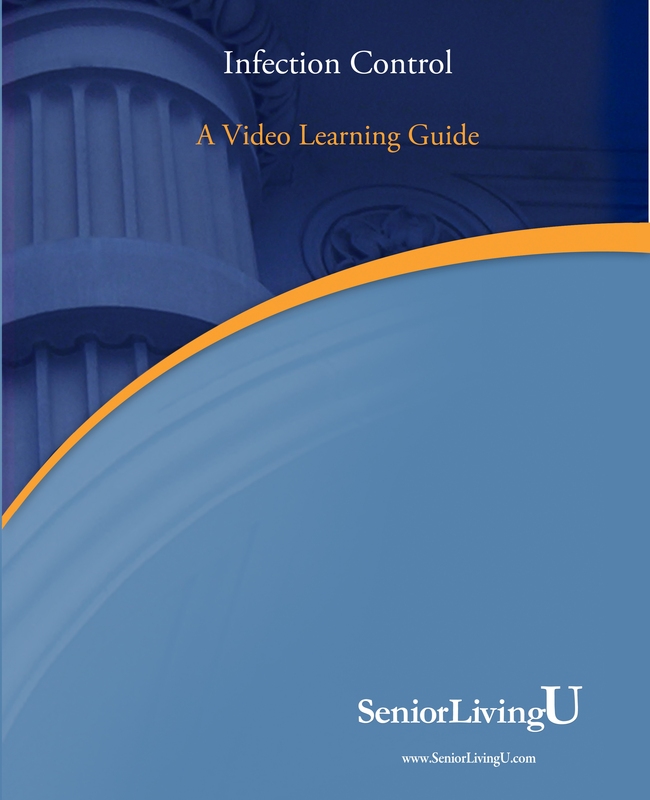 Please email info@seniorlivingu.com to order additional participant manuals.